By admission I am a bit of an Apple fan. From when I first worked on a Macintosh when I was in college in 1987, they have always stood out as unique and special. I remember the great fonts and graphical user interface all those years before Windows was even conceived. If you have never taken 15 minutes to watch Steve Jobs’ Stanford commencement address, and you are interested in the strategies used by one of the most successful people in the world, then now is the time to grab a cup of coffee, listen and learn. In a refreshingly candid look at his own life and some of the successes and failures he has experienced, Jobs debunks some of the myths about living your life with set goals and objectives. He also shows how goals would have limited his success. Fortune named him CEO of the decade for his work in significantly shifting four industries; computers, music, mobile and movies. Many people would advocate that to achieve on the level of Jobs would require focused goals worked at over many years. While this may be a strategy for some people, this approach is a million miles from the success story of Steve Jobs. Jobs dropped out of college after concluding that the financial strain on his middle class parents was too much. He spent a further 18 months on campus just taking the courses he loved rather than the ones he was previously required to take for his course. One was on calligraphy where he learned about type faces and what makes great typography. At the time he couldn’t see any hope of this knowledge being applied practically. However 10 years later, that calligraphy course deeply influenced the first Apple computers and those very fonts that impressed me in college would never have been there were if not for the calligraphy course he took after dropping out of college. It was impossible for him to join the dots looking forward. In retrospect he could join them backwards and see the importance of that seemingly random decision to take that course. His message, you have to trust (rather than plan) that the dots will connect down the road because that gives you the confidence to follow your heart even when it leads you off the well-known path. That will make all the difference. When Jobs was fired from Apple, the company he founded, he was initially devastated and felt very publicly humiliated. 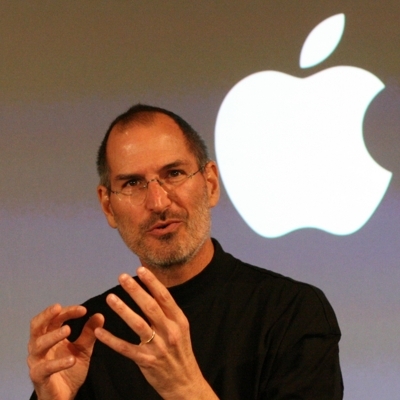 Although rejected, Jobs still loved what he did and he decided to start over. The heaviness of being successful was replaced with the lightness of being a beginner as he explored other business ventures and entered the most creative period of his life where he founded two companies, Pixar and Next. Pixar became the most successful animation company and in a strange turn of events Apple bought Next and Jobs returned to be CEO of Apple. The technology that Next had produced became the backbone for the resurgence of Apple computers and is at the core of the success the company has achieved in the past decade. His message, love what you do. You have to find what you love and trust (not plan) that the details will take care of themselves. Having heard the quote, “If you live each day as if it were your last, someday you will most certainly be right, Jobs was faced with his own mortality when he was diagnosed with pancreas cancer. Faced with death he concluded that he needed to live every day as if it was the last day of his life. Waking up each morning he evaluates what he is doing and questions whether he would do the same thing if it were the last day of his life. If not for two many days, then he knows he needs to change something. This, rather than a carefully mapped out plan, is what Job’s uses to decide his priorities and what he is working on. Watch the video (15 mins).